After a full football season only two teams remain! Most of us aren’t lucky enough to go watch the big game in person, but with a few tips from yours truly, you can throw the kind of party that makes your house a close second to Atlanta itself. Of course, any great party starts with the best, highest quality ingredients for your spread, and recipes that impress friends and family. 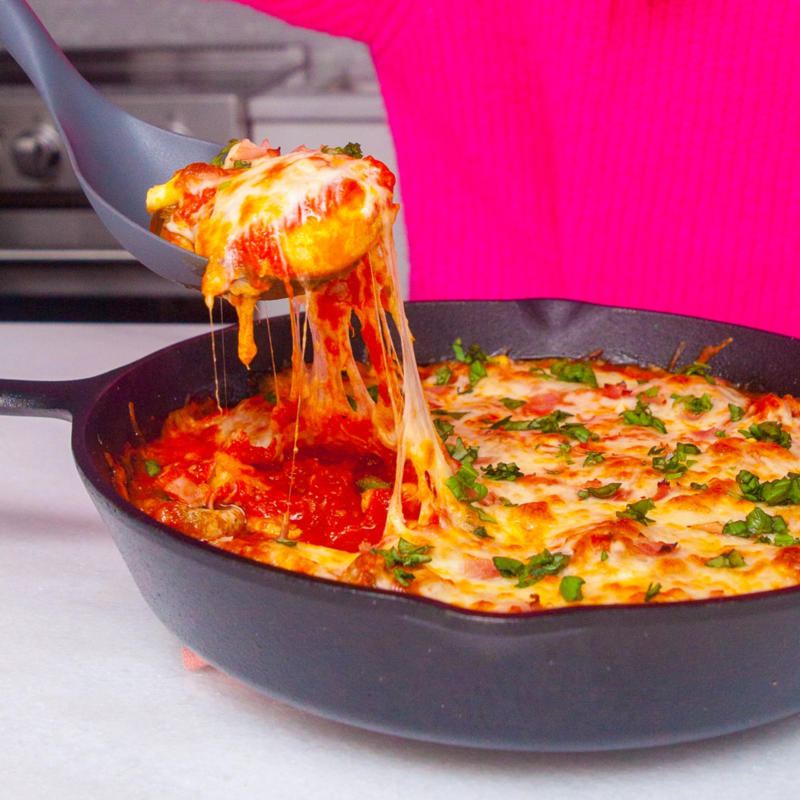 I’m letting SaraLeeDeli.com make the big game for me with delicious everyday meal solutions and lifestyle tips, plus amazing party recipes, ideas for entertaining, meal hacks and more! They’ve even got some football facts thrown in so you can talk the game as well as you throw a party. Guests will be expecting traditional Super Bowl favorites, so don’t disappoint! 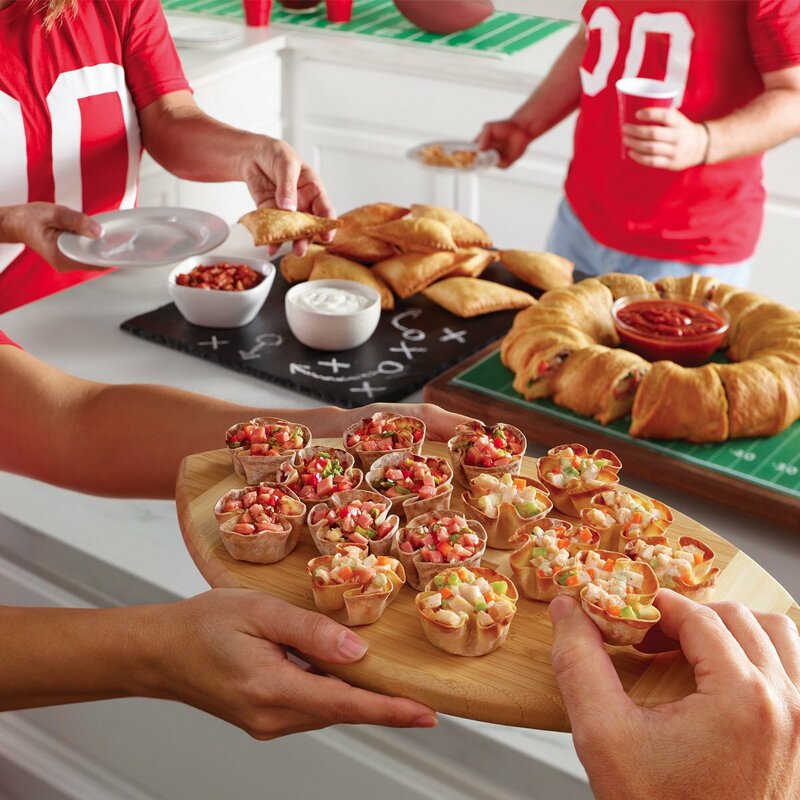 Buffalo wings, chili, pigs in a blanket, seven layer dip, meatballs and pizza are all great go-to items for your Super Bowl spread. On a side table, let your guests create their own masterpieces with a make-your-own sandwich bar featuring a great spread of Sara Lee® Premium Meats, cheeses, and all the fixings. In addition to the usual fare, add some flair to your party with impressive (but simple!) dishes that fit the theme and fill the belly. The two Sara Lee® Premium Meats recipes below are great centerpiece items for your table and sure to be a hit with fans of both teams. 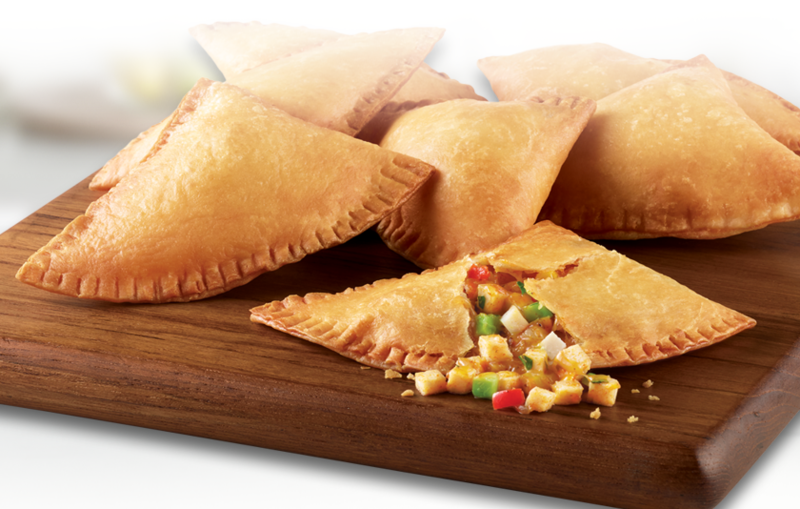 Unroll cans of dough and separate into triangles. Place a bowl in the center of a large cookie sheet (about 5″ in diameter) and arrange the triangles in a ring around the bowl. The dough should overlap. Layer cheese, red pepper, basil and ham on each triangle closest to the ring and season with garlic powder, salt and pepper. Bring the top of the triangle over the filling and tuck the edges under the bottom layer of dough. Repeat around the ring until the entire filling is enclosed. Brush top of the dough with olive oil. Bake for 30 minutes, or until dough is golden brown. Cool 5-10 minutes before cutting into serving slices. In a large pan over medium heat, add and mix the olive oil, onion, red pepper, corn, paprika, chili powder, cumin, garlic powder and dried oregano. Add salt and pepper to taste. Add lime juice and cook the vegetables until soft, about 5 minutes. Remove and put in a medium bowl. Add the shredded chicken, cheese, avocado and cilantro to the bowl and stir lightly until everything is mixed. Cut a tortilla in half with a pizza cutter or knife and put a spoonful of one of the fillings in the center of the tortilla half. Fold each corner over the middle, forming a triangle, and flip the tortilla triangle over so the seam is down. Brush the inside of the open edge of the tortilla with egg wash and press with a fork to seal. Repeat with the remaining tortillas and fillings. In a deep pan, heat 2 inches of oil at 350°F (180°C). Once the oil is hot, place 2-3 tortilla triangles in the pan and cook on each side for 3 minutes, or until golden brown. Drain the triangles on a rack. Serve with cilantro, sour cream, guacamole and salsa. 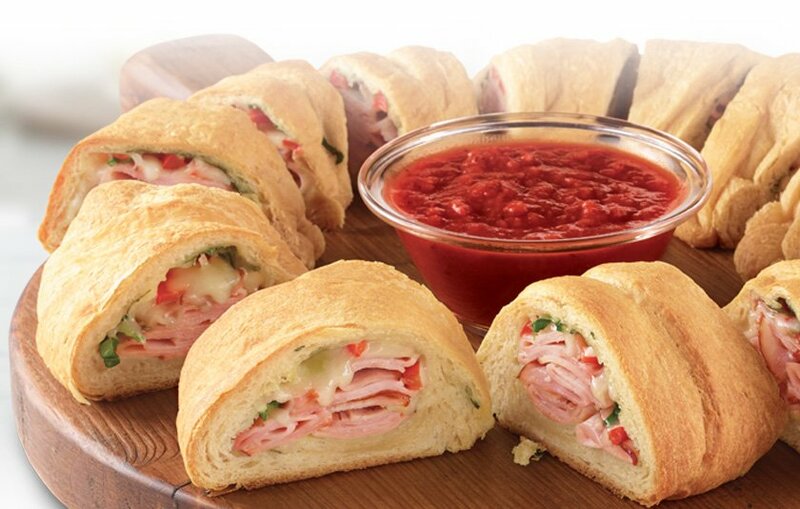 For more recipes, tips and ways to make your Super Bowl party a blast, head to SaraLeeDeli.com.